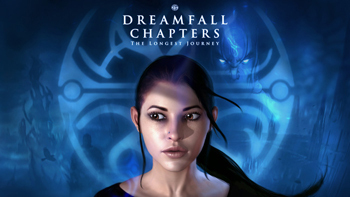 Crowd funders have until March 10 to help Dreamfall Chapters meet its $850,000 goal. When Red Thread Games revealed that it was working on the long-awaited follow-up to Dreamfall: The Longest Journey last November, fans were pleased. Series designer Ragnar TÃ¸rnquist stated that Dreamfall Chapters would need crowd-funding in order to be completed, so it's not a surprise that Red Thread Games has launched a Kickstarter campaign. The developer is hoping to raise $850,000 for Dreamfall Chapters: The Longest Journey; after one day, the Kickstarter is more than 10% of the way to its goal. The $850,000 Kickstarter campaign will add to the $175,000 grant Red Thread Games received from the Norwegian Film Institute. Backer rewards include digital copies of Dreamfall Chapters, special boxed editions, soundtracks, and graphic novels, with high-end tiers allowing backers to "make fun creative contributions to the game." If successful, Red Thread hopes to make Dreamfall Chapters available on the PC in November 2014. The campaign has raised over $88,000 so far, with more than 1,500 backers contributing to the Kickstarter. If you're interesting in making Dreamfall Chapters a reality, you have until March 10 to help crowdfund the game.